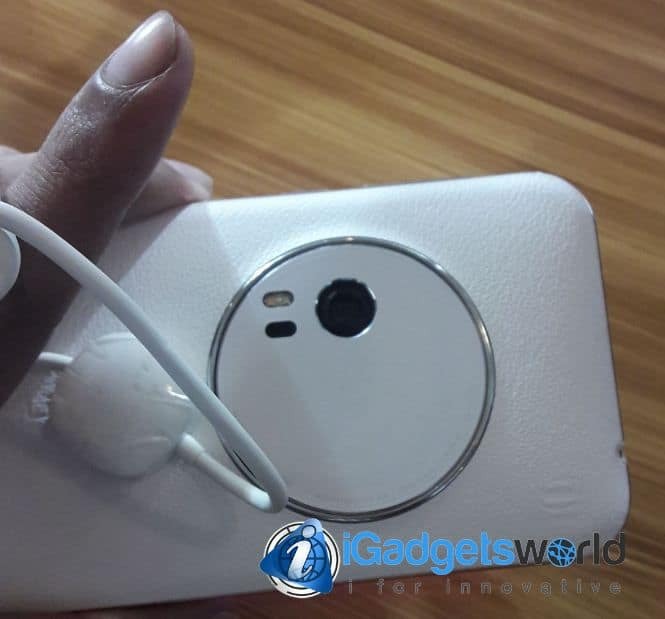 Finally, Asus launched the ZenFone Zoom in India which is a purely photography-centric smartphone with 3X optical zoom, camera like hardware buttons, tons of features and last, but not the least- it’s pretty powerful as I guessed from the specs sheet. 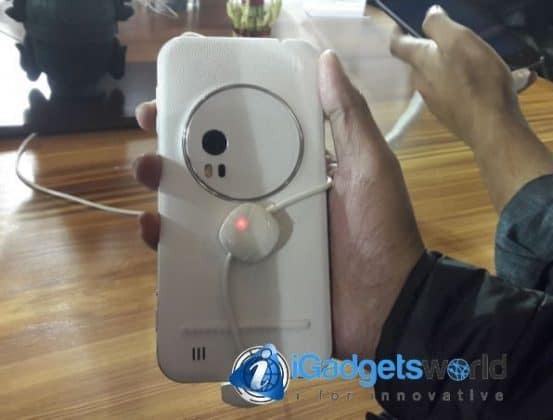 So, the phone was launched on 22nd January in Agra. The ZenFone Zoom is price at Rs.37,999 and if you buy the full bundle with the tripod and ZenFlash it would cost Rs. 39,999. So, this is the most expensive ZenFone till date. In this grand event I got the chance of trying out the ZenFone Zoom and here I am, with the early impressions that the phone made. 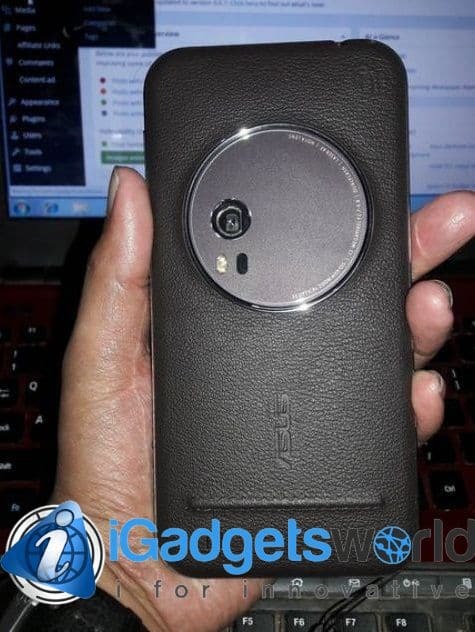 Asus has done a good job with the build and design of the ZenFone Zoom. 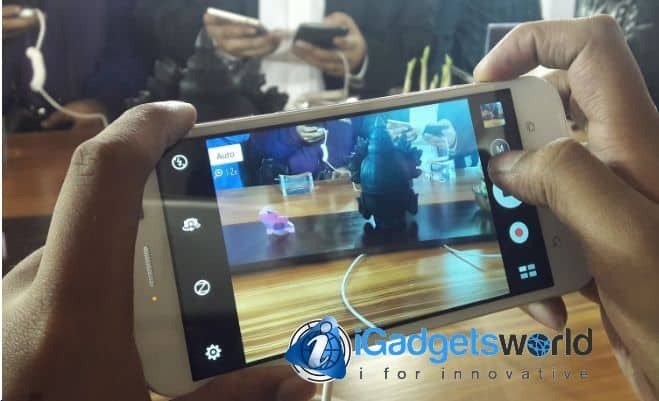 The phone is made out of a single block of Aluminium which undergoes more than 15 processes and the phone is build with a combination of aluminium and plastic with metal frames. The back has textured leather which provides a great feel while holding the device and also makes the phone less slippery. At the thickest point it measures 12 mm and 5 mm at the thinnest point. 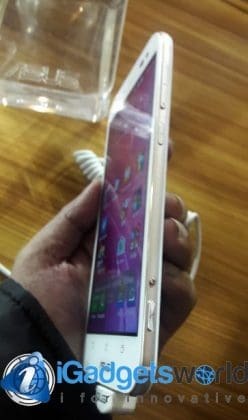 The ZenFone Zoom is pretty different in terms of the hardware button and port placement- the left side is totally clean and on the right side, we have the volume rocker which functions as zooming control as well and below the volume rocker we have the power and lock button, yes Asus put it on the right side this time instead of top. Below them, at some distance there are dedicated video shooting button and a camera shutter button. At the bottom, we have the micro USB port and mic. On top, we have the 3.5 mm audio jack. On the rear side, you have the huge camera module and the back panel is removable under which you can find the micro SIM and microSD slots. The ZenFone Zoom sports a 5.5-inch full HD display with Corning Gorilla Glass for protection. The display is vibrant enough with good viewing angles, however I’m not quite sure yet about the sunlight readability yet, and will try and add this in the full ZenFone Zoom review soon. The Asus ZenFone Zoom is powered by Intel Atom Z3590 quad-core processor clocked at 2.5 GHz coupled with 4 GB of RAM. 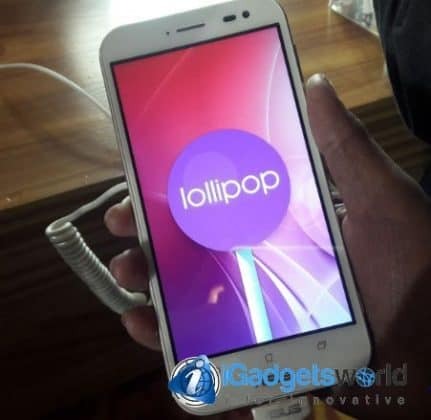 It also comes with PowerVR G6430 GPU. And while trying it out, I enjoyed the fluid performance ending up with around 1.8 GB of free RAM. However, I will have to check out how it performs in day to day life. There is a mammoth 128 GB of storage which you can expand up to 64 GB using microSD card, but I’m just thinking why they didn’t provide another slot for SIM card or a hybrid slot probably, as we already have a huge storage available. Connectivity options include Wi-Fi 802.11ac, Bluetooth 4.0, LTE, AGPS. 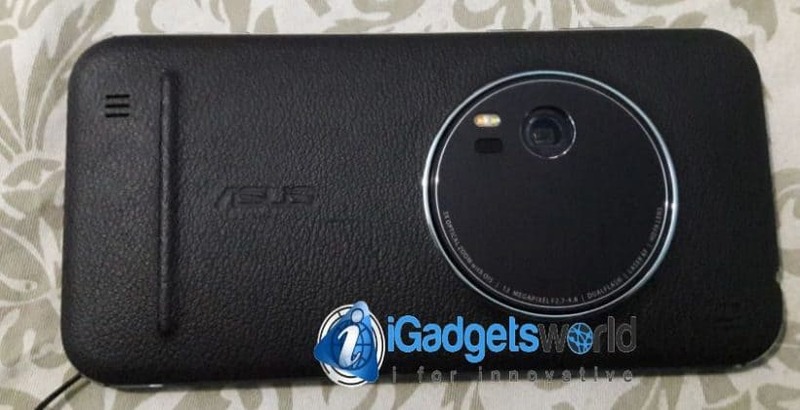 The Asus ZenFone Zoom sports a 13 MP rear camera and a 5 MP front-facing camera. Disappointed? Well, you will be happy when you try taking a picture with that. If you’re someone who just wants to buy a phone for the pixel count then probably you won’t buy the phone and regret later. The reasons hide under the camera module. The phone looks like the Galaxy S4 Zoom which the huge camera module and 3X optical zoom works very good. Asus has used a 10-element Hoya lens which has dual prism periscope module design to capture light. The lens arrangement is sideways and just beside that it houses the dual tone LED flash and the laser for fast auto focus. The focusing time is just 0.3 seconds and the dual tone flash is good for capturing natural looking pics in dark. Just like other ZenFones we have seen in past it comes with manual shooting modes, super resolution and much more. The Asus ZenFone Zoom also supports 32-second exposure mode, though you will need a tripod for using that. It also sports 4 stop optical image stabilization which ensures stutter free handheld shots even for mere 1 sec exposures, though I haven’t tried these yet. Hopefully, I will be trying these out soon and let everyone know in the full review of Asus ZenFone Zoom. The ZenFone Zoom comes with Android 5.0 Lollipop out of the box with ZenUI on top of it. 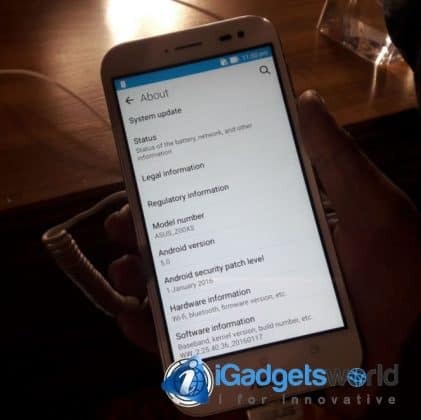 The Zen UI is similar to the one we found on previous ZenFones, but the phone comes with a lot of pre-installed apps. I will have to figure out whether those apps can be uninstalled or not. There are some ZenFone apps like ZenTalk, ZenCircle and one app called LaserRules which lets you measure the distance from your subject and it works on the tiny laser on the back. The ZenFone Zoom comes with a non-removable 3000 mAh Li-polymer battery and Asus has supplied an 18 W power adapter which Asus has claimed to charge the ZenFone Zoom from 0 to 60 percent in 39 mins. However, I will have to test it practically and find out how well it performs in real life. The Asus ZenFone Zoom is really something new in the industry with 3X optical Zoom and it targets the photography enthusiasts. However, I felt that the price tag of Rs. 37,999 is a bit expensive for a market like India and I guess a little price cut could be better. Regarding the performance, there are some bugs here and there which caused a bit lag while switching between camera modes and some other points while using the device. I can already see and update, so probably will be trying to figure it out soon after I install the update and test it. 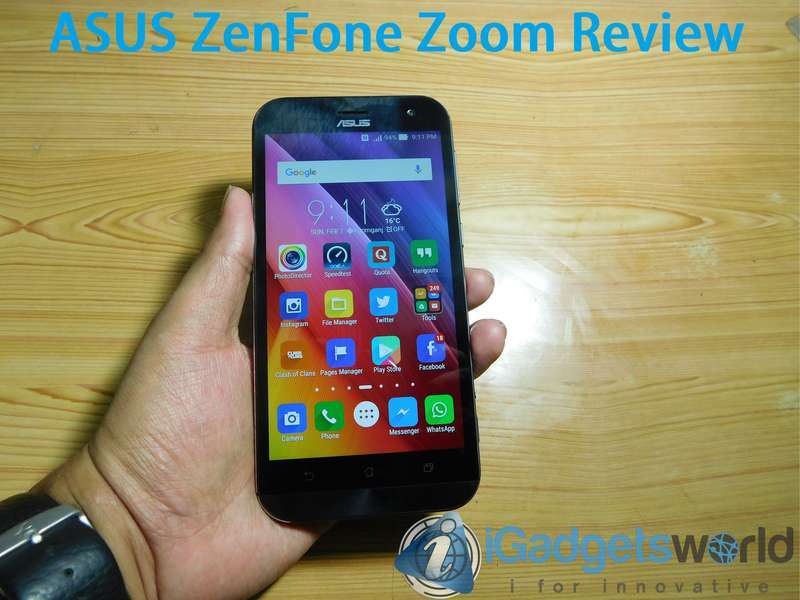 So, stay tuned for the full review of the Asus ZenFone Zoom. 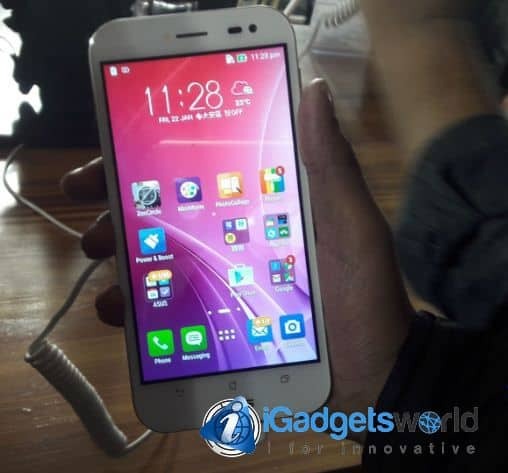 The [eafl id=13540 name=”” text=”ZenFone Zoom is available for Rs. 37,999 on Flipkart”] and if you are a photography freak, then probably it’s a great pick for you. Don’t forget to like our Facebook page to stay updated on the move, we will be there with the full review very soon.